Play The World On The New G3! Now that the Arachnid Galaxy 3 dartboard has arrived, you are now capable of remote play against people from all over the country, and even the world! You can also keep your stats while you play using the HOTBUTTON. See your Bartender to get your HotButton, or call/text Jeff MacIntosh at 518-862-2216! 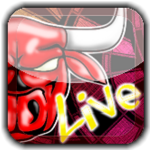 Get your Ranked Online Profile Started with Bullshooter Live! View your Remote Play stats through the BULLSHOOTER Live phone app available for free! Download from Google Play or the the App Store! Remote leagues via the internet. Play teams from all over the country. 30+ leagues waiting for you to register and play! You must register through the PPD player portal. Check out this video to help you get started. Participating In PPD Remote Leagues will establish stats to make you eligible for the Lady Bligh Monthly Triples Tournaments. These are played remotely against teams from all over the country the 2nd Saturday of every month. Triple Elimination, bracketed based on ability, and $500 added to every bracket! This is the Player's FAQ section. How many people do I need to put a team together? As a Captain, What am I responsible for? What time are league matches supposed to start? How does a travelling league work? What is a Team Cap? How can I keep up to date on stats and standings? What is the season schedule like? Only good shooters play in leagues, right? What do I do before a match starts? If I use a substitute, why do I still need to pay dues? Why do I sign the dues envelope? Do I win any money? When ESD uses a 4 person team format - Teams are required to declare 4 "Regular" players, and may have up to 4 "Substitute" players, for a total of 8 players on their roster. A minimum of 2 Regular players are required to play a match. When ESD uses a Mixed Triples format - Team are comprised of a minimum of one woman. Teams are required to declare 3 "Regular" players, and may have up to 3 "Substitute" players for a total of 6 players on their roster. A minimum of 2 Regular players are required to play a match. When ESD uses a 2 person team format - Teams are required to declare 2 "Regular" players, and may have up to 2 "Substitute" players, for a total of 4 players on their roster. A minimum of 1 Regular player is required to play a match. Leagues that have playoffs have eligibility requirements. Some teams will qualify a 5th or 6th player to be safe. Consult the League Rules for futher information. 5 - Act as liaison in the event of a protest between teams. League matches are scheduled to start at 7:00pm. Captains are required to notify the opposing Captain if they are going to be late. No call / no show by 7:00pm may result in a forfeit. Each week teams alternate playing "Home" & "Away" as set up by the schedule. "Home" matches are played at your sponsoring bar, "Away" matches are played at the opposing team's bar. Every effort has been made to keep travel distances between bars to a minimum. Your Player Rating is a metric used by combining your PPD average in '01 games, and your MPR average in Cricket games. The formula for your player rating is as follows... PPD + (MPR x 10) = Player Rating A person with a 24.30 PPD and a 2.25 MPR would figure out like this... 24.30 + (2.25 x 10) or 24.30 + 22.50 = 46.80 Player Rating. Team Caps are used in some leagues to bracket teams of similar ability, as well as foster growth in the league. It uses a calculation called CPR or Combined Player Rating. Team Caps are set in place at the time of registration, and all teams have a window of 25% above the original cap to improve during the season. Number & type of games vary depending on the league being run. The main games are Team 301, Team 501, and stacked Cricket. In the past we have added other games like Bermuda Triangle or Crazy Cricket. The format of your match was determined at your league meeting, and has been programmed into the dartboard. A $10.00 registration fee is required from each player on the team prior to being put on the schedule. Registration fees can either be prepaid at the league meeting or online via Paypal, Debit or Credit card.For our 4 Man league, dues are $10 per week and include the cost of games. This money is put in to the dartboard upon signing in for league play. Dues are still paid in the event a substitute is used. Your league stats and standings will be displayed in the dartboard, provided that the match was sent in properly to our server usually within 4 days of your match. Stats and standings are also available here on our website. Match data is normally collected the weekend following your match. ESD makes every effort to try to get that data in time for posting in the board, and on the web for the next week. In our fall season, which runs from September to April, ESD sets a schedule where each team in the division will play each other at least once. For example, a 16 team division will go 15 weeks, followed by playoffs which run another 4- 5 weeks. ESD then holds it's league banquet to close the season. As you can see, ESD has it's share of hotshots, but the majority of our player base is of average ability or lower. ESD also employs the use of a handicapping system which gives our top shooters a challenge, and the rest of our shooters the motivation to improve. As you get better, so do your chances of winning. Handicapping favors the improving shooter, since each week you have the opportunity to beat your previous average accumulated during the season. The handicapping system weighs your average against your opponent's average. The dartboard calculates the handicap when the match is set up in the dartboard using your stats accumulated over the season. Once the handicaps are calculated, a weight percentage is applied, and your starting scores are displayed on the dartboard. It is not unusual for players to show up before a match to warm up, and throw a few darts. We ask that no coined games are played within 30 minutes of start time. If you want to setup a coined game where everybody shoots, that is acceptable, as long as anyone from either team can jump in and shoot . It is not unusual to see a 2 player game of cricket where everyone jumps in and plays in random order. If you are playing at Home, your team signs into league play first. The board will ask for the appropriate amount of credits before moving on to allow the visiting team to sign in. The Away team will then do the same, and prepare to start the match. The majority of your dues goes back to the players at the end of the season. A portion of your league dues goes towards the banquet fund to cover the cost of the banquet, trophies, etc. Unpaid dues are deducted from your winnings envelope at the end of the season. Unlike many other leagues, Empire State Darts pays all teams for both wins AND losses, offer trophies, and hosts a banquet.The idea that everyone gets something back. It has always been our philosophy that no team should wind up empty handed for participating in our leagues. Prize money paid at the end of the season to ALL TEAMS come from league dues. It is the responsibility of your regular players to pay their dues. It is the Captain's responsibility to field a full team with regular players, and make sure they pay their dues. If you are having a hard time fielding enough regular players, and are constantly relying on substitutes, you should contact the league office. The league will do whatever it can to help you find a reliable player that will show up each week. By joining ESD, you are making a committment to show up with a reliable team, with players that will pay their league dues. If the league doesn't use envelopes anymore, what do I sign instead? In the past, signing the dues envelope constitutes acceptance of the match score. Once the envelope was signed, no protests can be made by either side.Now, our league rules will reflect that a Team Captain may lodge a protest under two conditions... 1...The opposing Captain has been notified that a protest will be made, and for what reason. 2...The protest is lodged within 48 hours of the end of the match in question to the League Coordinator. Teams will receive money per win, AND per loss. Any unpaid dues, fees, or penalties are deducted from your season winnings. Additional money for playoffs is awarded to divisions that have an OPEN format. At this time, there is no money awarded for playoff in HANDICAP divisions. Our league can be classified as a "fun" league, which means the focus is on having a good time, not winning thousands of dollars. Sportsmanship first, competition second.